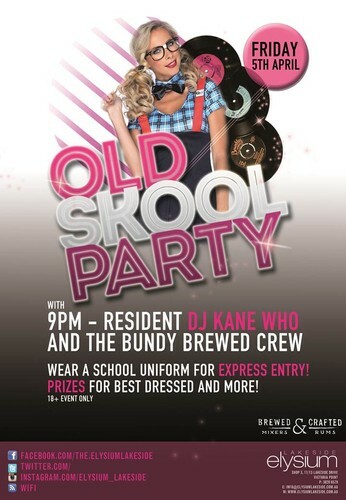 Come along and get Old Skool at Elysium Lakeside! With DJ Kane Who? And the Bundy Brewed Crew... this is a night you don't want to miss!